The hunt is on as Adam scrambles to save his parents from Space Pirates, while Voric (ever the swash-buckling scoundrel) rushes to get the galaxy's greatest treasure: the Trillion Star! 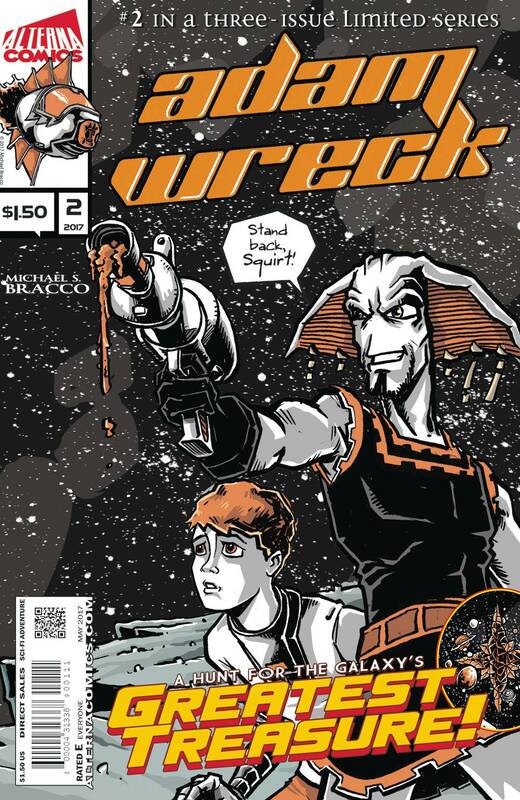 If you love epic space adventures, Adam Wreck is for you! Printed on newsprint with a glossy cover.